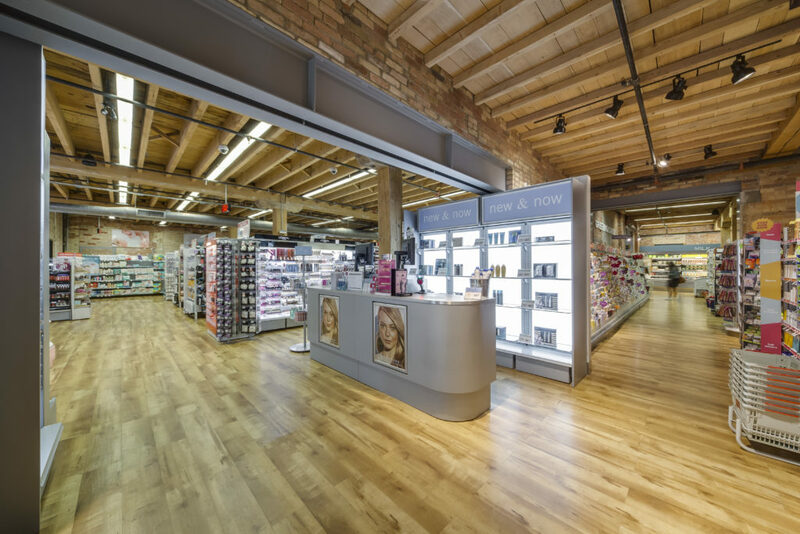 In the heart of downtown Toronto’s King West area, this project saw the adaptive re-use and renovation of a heritage building to create a stunning retail environment for a Shoppers Drug Mart. Placed within an existing building, dating from the mid 1800’s, this unique project maintained the original character of a heritage building, while providing a vibrant downtown community with a new retail environment. 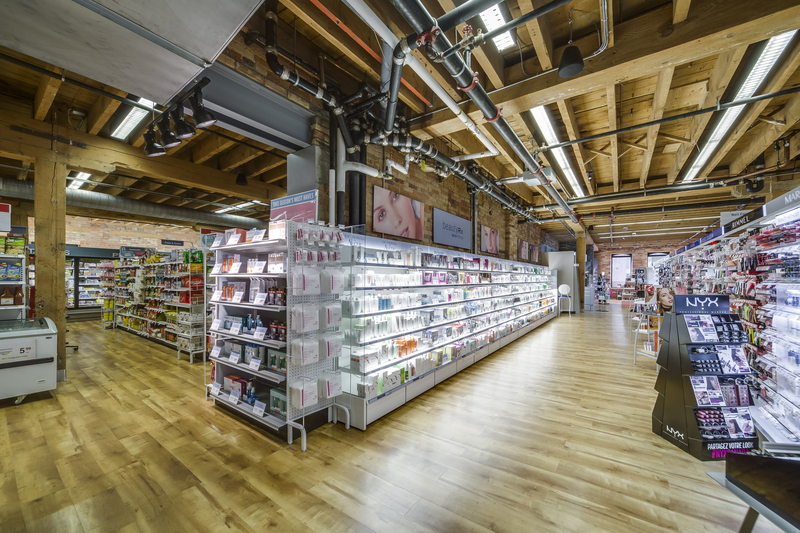 Turner Fleischer worked with the Shoppers Drug Mart team to create a store that catered to downtown residents that don’t have vehicles and tend to get all of their necessities in their immediate neighborhood. 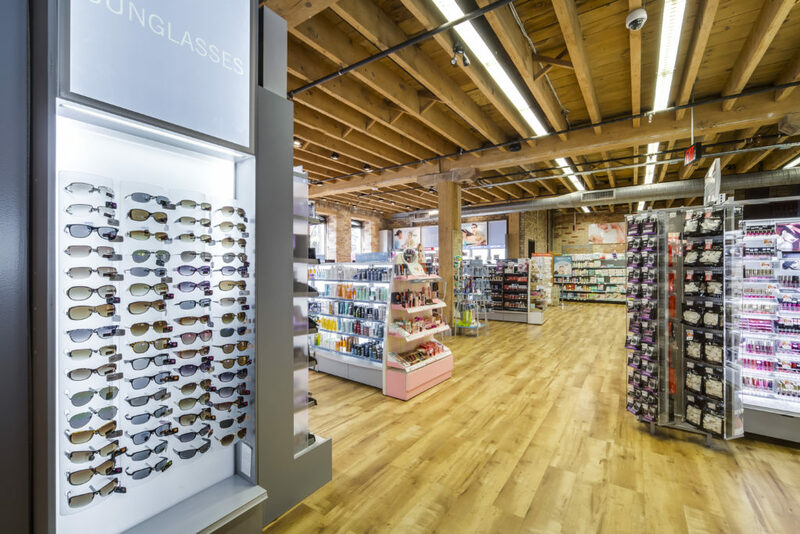 This concept extended to consider store staff, as the existing washrooms in the basement of the store were retrofitted to include showers for employees who lived in the downtown core and rode their bikes to work. A challenging site, in a dense neighborhood that has great significance to the City, Turner Fleischer worked with the municipal departments, including Heritage Services to make sure all approvals were granted and the project was well integrated into its context.